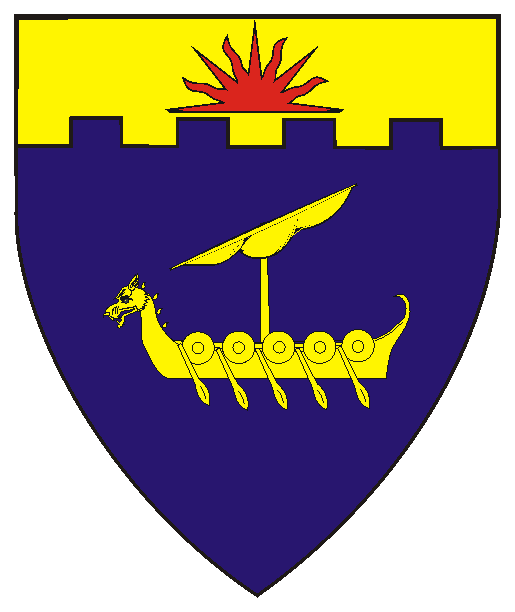 Azure, a galley and on a chief embattled Or a demi-sun gules. Argent, a horse's head couped gules, on a chief sable two increscents argent. Argent, a horse's head couped gules.